Nine broadcasts Australia’s Davis Cup face-off against Austria this weekend on 9GEM and 9GO! Tony Jones hosts with commentary from Todd Woodbridge, Sam Groth and John Fitzgerald. 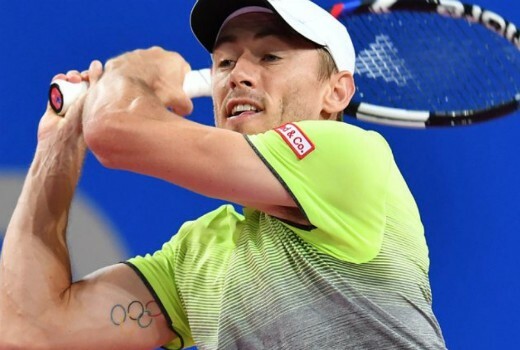 Australia’s new tennis hero, US Open giant-killer John Millman, leads our assault on the World Group play-off in Graz, Austria. Millman’s US Open heroics, which saw him beat Roger Federer to reach the quarter-finals for the first time at a Grand Slam event, propelled the Queenslander to a career-high ranking of number 37. Our five-man squad will include Aussie legend Lleyton Hewitt, donning the green and gold for his first Davis Cup appearance since 2016. The Australian contingent will also feature Alex de Minaur, who this month rose seven places to a career-high world ranking of 38 after advancing to the third round of the US Open. Rounding out the team for the clay-court tie are the gritty Jordan Thompson and doubles specialist John Peers. Austria’s team is headlined by eighth-ranked Dominic Thiem, one of the best clay-court players in the world, having reached the final of this year’s French Open. Also lining up for the Austrians are Dennis Novak, brothers Jurgen and Gerald Melzer, and Oliver Marach. Melbourne – from 7.00pm on 9GO! Adelaide – from 6.30pm on 9GO! Perth – from 5.00pm on 9GO!